Enjoy cleaner, healthier, protected rugs with our Commercial Rug Cleaning service. Rugs can form part of your businesses valuable soft furnishings and create a comfortable workspace. Our team are experts at rug cleaning, helping get them looking as good as new in most cases. Take a look at this video of a very heavily soiled rug from a busy local pub / restaurant. Shown here in “mid-transformation” you can see the amazing results our process produces! Our unique rug cleaning treatment, results in your rugs getting vacuumed on both sides to remove all loose soil, our naturally based hot carbonating solution ‘The Natural®’ is then applied, which will gently emulsify dirt and stains then propel them to the surface for easy extraction. A deodoriser and sanitiser can be applied to add the beautiful fragrance of spring freshness and protect your rugs from most spills and stains. Our Nottingham expert operators will then groom your rugs to restore pile and nap. 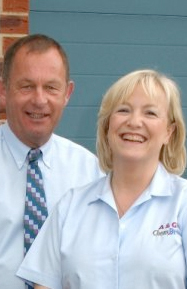 Our Nottingham specialist understand the importance of time and convinience in a business. Because of this we can clean your rugs either at your workplace (depending on the extent of soiling, size and convenience) or alternatively at our purpose built rug cleaning workshops. Rest assured our Nottingham qualified technicians will only be too happy to pass on his knowledge and advice as to how we can restore your rug to its former glory.